How much food do you think your family throws away each year? We had one of those freakish weekends where the weather was downright chilly and I must say, it didn’t take me long to kick into cool weather food! This baked pasta used our homemade Roasted Tomato Sauce, pesto from our garden basil, a green pepper from our little garden and Italian sausage from one of our favorite farms, Mae Farm. It was easy to make once the sauce was done and it made enough for two dinners and a lunch (and none of us had just one serving at dinner). If you’re looking to welcome fall, but still have plenty of tomatoes (or have some frozen/canned sauce) this is a great bet! Heat a pot of water for pasta. Preheat oven to 350 degrees. Cook pasta according to directions, but take pasta off heat 2 minutes before directions call for since pasta will bake in the oven. Drain, reserving 1 cup pasta water for sauce. In a saute pan, heat 2 tbsp. olive oil over medium high heat. Cook sausage until no longer pink. Add onions and green pepper and cook until soft, about 3 minutes. Add the Roasted Tomato Sauce, basil pesto and reserved pasta water. Stir well and reduce heat to low. Mix together pasta, basil/tomato sauce, and cheese, reserving 1/4 cup of parmesan cheese for topping. Oil a 13 x 9 baking dish. Pour pasta mixture into baking dish. Top with remaining cheese and breadcrumbs. Bake at 350 degrees for 45 minutes until bubbly and hot. Although it is still hot and humid here, we have visions of fall veggies growing in the garden. As much as I hate to see summer go, I do love me some fall vegetables. Broccoli, beets, sweet potatoes, autumn squash, pumpkin, kale, collards…yum! The urge to plant things is apparently greater than the urge to give up until I have new neighbors, so I’m planning on giving over some energy to a fall garden. And maybe installing a video camera. What about you? What do you like to plant in the fall? I’m not sure why this isn’t called “Zucchini Tart” because it has more zucchini in it than red pepper, but the pepper sure makes it look pretty. This is another recipe adapted from the Under the Tuscan Sun Cookbook, which is rapidly becoming a favorite of mine. This tart was delicious–it is like a quiche, but with more vegetables and MUCH less fat (no milk or cream in this baby!). So light and delicious–I will definitely make it again. Ellie didn’t care for the zucchini, but she might try it with another vegetable subbed in. 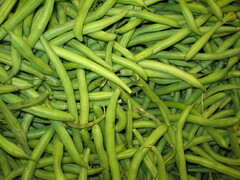 I think it would be great with asparagus in the spring or even with thinly sliced potatoes. Or Kale…or broccoli…or…well, you get the picture. Super easy, healthy and versitile. That is MY kind of recipe! Roll the pie crust into a 9″ pie pan and keep refrigerated until ready. In a skillet, heat the olive oil over medium heat. Add the onions and cook until soft and translucent–about 3 minutes. Add the sliced zucchini and cook another 3 minutes until soft. Spread the zucchini and onions onto the bottom of the pie crust. In a bowl, wisk the eggs together. Add the cheese and blend. Add salt and pepper to taste. Pour over vegetables. Toss the red pepper slices in a scant amount of olive oil to coat. Arrange red pepper slices on top of the tart in a spoke pattern. Press them into the egg a bit. Bake tart for 30 minutes or until eggs are set and crust is lightly browned. August 15 of this year would be Julia Child’s 100th birthday. As someone who came woefully late to cooking, I love the story of Julia Child and her role as a mentor to chefs and home cooks around the world. She was an exceptional woman and an exceptional teacher. And, I have to say, I love her quirky sense of comedic timing and mannerisms. We recently watched many of the first episodes of The French Chef on Netflix and one of the things that strikes me is her use of simple, honest ingredients prepared with surprisingly little effort. Of course, her shows also feature some complicated dishes and topics, but there is no high-end truffle oil from halfway around the world or peppers from South America or exotic meat from a half-extinct animal. No food towers. No plates of mostly garnish. No smoked underbelly of mustard leaf (ok, that one I made up). Real food, olive oil, salt and pepper, butter and fresh herbs. For. Reals. We’ll have our feast on August 12 and I’ll post pics from our birthday party. Should be fun! Here in NC, we are rapidly approaching the Gap Season, where summer crops are tapped out or on the way out and fall crops haven’t yet started producing much. How could that be??? Didn’t summer just start, like, yesterday? I love summer–even with the mosquitoes. I’m feeling a little sad about the gap, really. I feel like I have so much unfinished food business. I have tomato and eggplant and zucchini recipes to try, more tomato sauce to can and I’ve only had okra one time this summer. Still not sure how that happened. Fortunately, the summer season tapers off gradually and I have a couple of weeks to get my act together before the gap. I’ll be stocking up on what I can this week and next. Mostly peaches, blueberries, green beans, okra and tomatoes. 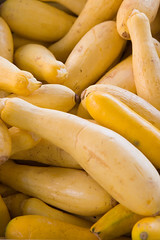 I’m not sure if I can freeze summer squash and zucchini…any suggestions? While I finish canning and freezing our summer bounty, I am also–in the back of my mind–excited about one thing. Football.